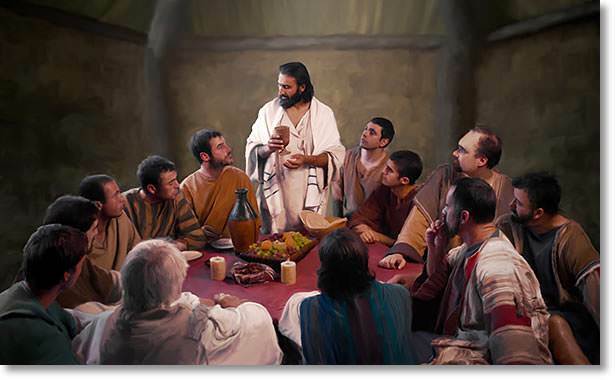 When Jesus went to Jerusalem, He needed a room for the Last Supper and for a “Good-bye” talk with His disciples. There was a kind man in Jerusalem who lived in a big house with a large room on the flat roof. Outside the house were stairs that led to the Upper Room. 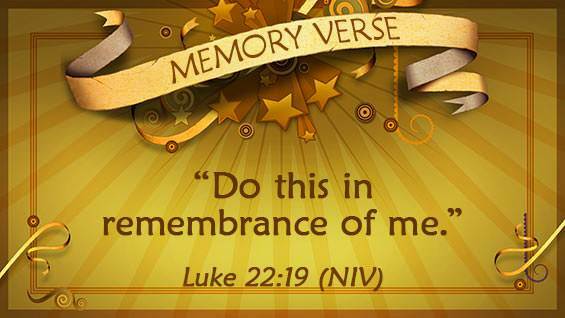 Jesus sometimes went with His helper-friends, the disciples, to stay or rest here. 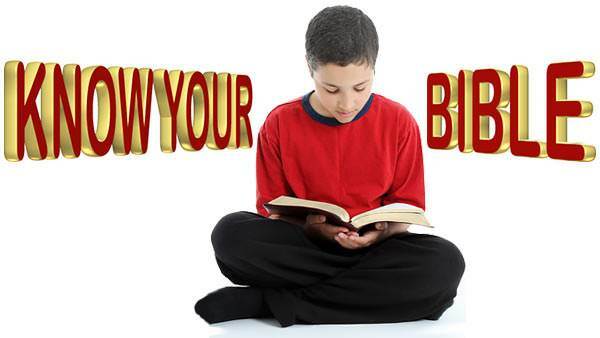 And now the kind master of the house said he would lend Jesus his Upper Room for this Supper, and talk. And the disciples went into the city to the fountain. There they saw a man carrying a pitcher of water. Now water in Palestine is usually carried by women or girls, so if a man carried a pitcher, they would notice him at once. 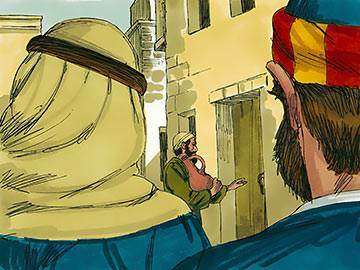 They followed the man with the pitcher and came to the house of the Upper Room. And the good man of the house took Peter and John up the outside stairs into a large room. There he showed them couches and tables, with dishes and cups on the tables. At the door stood big water pots filled with fresh water for the guests to wash their feet. There was also a big basin and a towel. 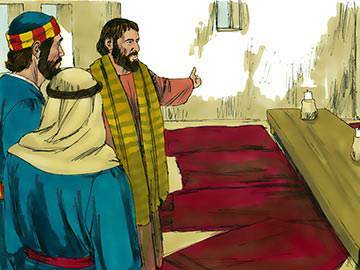 Peter and John made ready the supper, and soon Jesus and the rest of the Twelve came to the Upper Room. 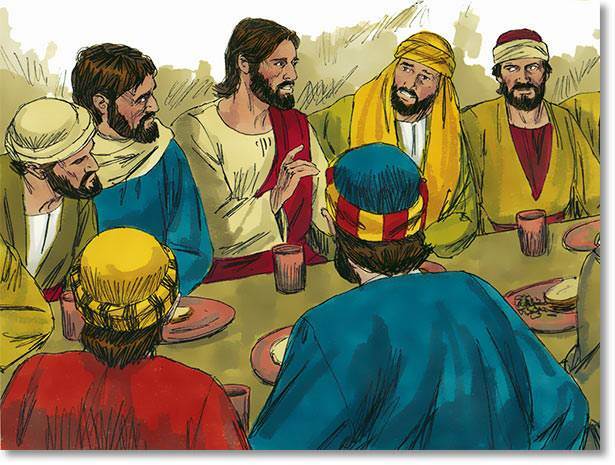 Here they had supper together for the last time, and Jesus talked very lovingly to them all. 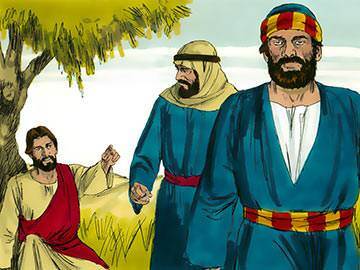 He warned His disciples that he was soon going away from them, but that they must be brave and tell other people about Him. 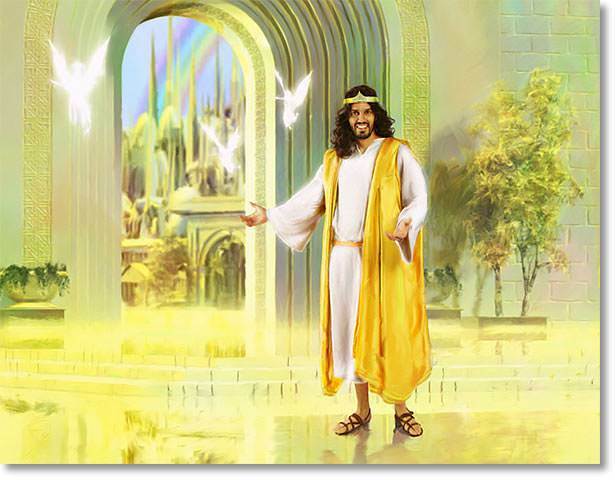 He told them that He would make ready for them a place in the Heavenly home, and that someday they would come and live with Him there. And then the men could say no more.